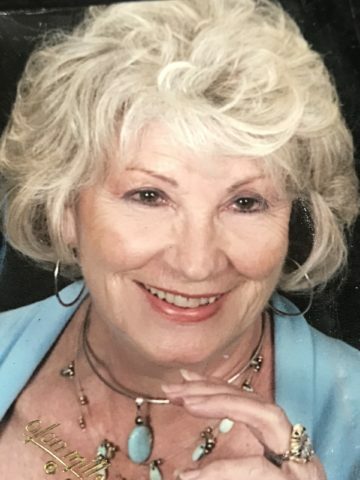 Wanda Murphy Barr (Neanie) born December 9, 1936, passed away Saturday June 2, 2018. She was born in Smithville, Tennessee, grew up in Nashville then moved to Murfreesboro to be near her children. Wanda was a corporate officer at Cummings Incorporated, Nashville, and resigned that position to oversee her farm operation in Williamson County. She was an officer of Executive Women International for several years. Wanda has been involved with a creative writing group since 1998. She also enjoyed many years of travel. Wanda spent many years serving on various committees of the Presbytery of Middle Tennessee. Her greatest passion has been being a mother, grandmother, and great grandmother. Wanda was preceded in death by her husband William Hume Barr, a prominent Nashville attorney. Parents Grady Lee and Jessie Elberta Taylor (Birdie) Murphy. Brothers; Lee Taylor, Walter Norvell (Doc), Glynn Donald, Lynn Ronald, Raymond Cleatus, Grady Noel, and Jerry Wade. Sister Jo Bill Murphy Cook. Surviving are her children; Jamie Mrzena (Scott), Jerry Bates (Karen), Cris Jones, Robyn Barrett (Bill). Grandchildren; Dustin Jones (Ashlin), Breah Parrott (Christopher), Brittany Champion (Cole), Taylor Barrett (Amy), Lauren Bockoven (Nick), and Kayla Bates. Brother Kenneth Wayne Murphy Fountain Valley, California. Sisters; Peggy Patterson Smyrna, Tennessee, and Patricia Faye Murphy Bain Cross Plains, Tennessee. Several nieces and nephews also survive. The family would like to thank the many friends and family members for their special love, care, and support during this challenging time. A special thanks to Jessica, Amy, and all the team members of Alive Hospice of Murfreesboro. A memorial service will be held Friday, June 8, 2018, at 6 PM at the First Presbyterian Church of Murfreesboro 210 North Spring Street, Murfreesboro, TN 37130. In lieu of flowers the family respectfully ask donations be made in Wanda’s memory to one of the following Alive Hospice of Murfreesboro, The First Presbyterian Church of Murfreesboro, First Presbyterian of Franklin, or to the charity of your choice. Special Memories and prayers to the family of Wanda Murphy Barr. Love you all from the Carolyn Edwards and Diane, Josh And Kayla Dyer. So very sorry for your loss. Your entire family is in our thoughts and prayers. Wanda was a remarkable woman of faith, strength, dignity, courage and talent. I was blessed in knowing her through the Writers Group at FiftyForward, College Grove. May the Holy Spirit bring comfort and peace to her family as only He can. With all her involvements and interests, it is true to say that family was dearest to Wanda’s heart and the subject of almost all her conversations.